When you find out you're pregnant with your first child, it is a magical moment, a moment when you imagine all the things that you'll get to do whilst being pregnant, get scared about the birth and dream about seeing your baby for the first time. After the first pregnancy, you know what to expect and so other pregnancies become easier and usually a lot lazier too. Here are a few of the things that I think change as you have more children. Do you recognise any of these? 2nd baby: You wear your regular clothes for as long as possible, holding off the tent style maternity wear. 3rd baby: Your maternity clothes ARE your regular clothes. I even continued to wear my maternity clothing after the birth, just because I was so used to them and they are super comfy. Who cares if they are unflattering, I'm covered in baby sick (or other bodily fluids) 90% of the time anyway. 1st baby: You pre-wash all the newborn clothing, sometimes twice, as soon as you buy them and a week before you're due just to make sure they're clean. You then colour co-ordinate and fold them neatly, and in order, in the baby's set of drawers. 2nd baby: You check to make sure that your first babies clothes are clean and discard only the ones with the darkest stains, and then buy only the necessities that you really, really need for this baby. 3rd baby: Boys can wear pink, right? 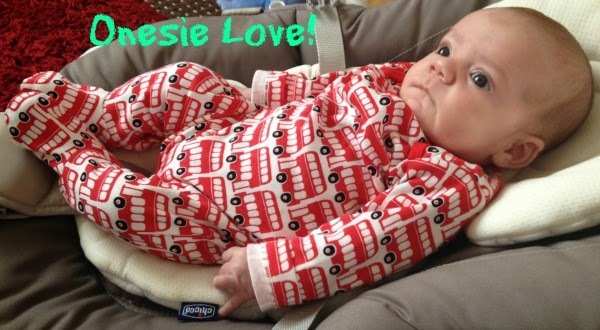 And I might as well keep him in his babygrow since onesies are all the rage these days. I'm a style concious mum don't ya know?! 1st baby: You practice your breathing every day, visit the antenatal ward, birthing rooms and go to every appointment and class to make sure you're ready for the birth. 2nd baby: You don't bother doing anything because you remember that last time that the breathing didn't do a thing and you know where the hospital is anyway, right?! 3rd baby: You ask for an epidural in your eighth month of pregnancy. I already knew that I would be having an epidural in my third pregnancy as I suffer with high blood pressure in labour and so couldn't wait for it to take the pain away. Unfortunately, Joseph decided to fly out and there was no time at all to have it done. 2nd baby: You pick the baby up when his cries threaten to wake your first born child. 3rd baby: You teach your older children how to wind up his favourite musical toy and plus, they say that letting babies cry is a good way to make them learn, controlled crying and all that! 1st baby: You change your baby's nappy every hour, whether they need it or not and apply nappy rash cream each time. 2nd baby: You change their nappy every two to three hours, if needed, usually when they have a bottle. 3rd baby: You try to change their nappy before others point it out and complain about the smell or you see it sagging to their knees, which ever comes first. 1st baby: You take your newborn to Baby Massage, Baby Story Hour and swimming at least twice a week to let him 'socialise' with other babies. 2nd baby: You take them to Baby Story Hour as it gives you a break from reading the books for a change. 3rd baby: You take them to the supermarket and on the school run, they can socialise at the school gates anyway! 1st baby: You spend most of your days just gazing at your baby, wondering what he is dreaming about. 2nd baby: You spend most of your day watching to be sure your older children aren't poking or hitting the baby. Of course, with all my children, I adore and am thankful for them, but after your first, you get to know what you need to do and aren't as cautious as you once were about every little thing actually making it much more of a relaxing, enjoyable experience to have. Can you relate to any of these experiences? You're probably reading this thinking 'Well isn't this a stupid title for a post. 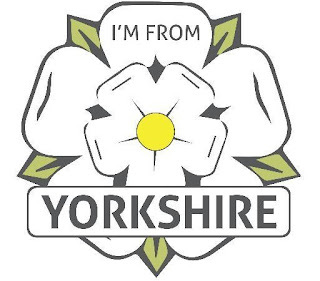 We know you're from Yorkshire, it's in your name' but no, I'm talking about the fab company that is I'm From Yorkshire and am here to talk about the great items that they offer for us Yorkshire folk. There you will find a wide range of Yorkshire themed products, specialising in t-shirts that any Yorkshire person would be proud to wear and ranging in gifts of mugs and phone cases to prints and maps. After having a look around their site, I realised just how proud I am to be a Yorkie and couldn't wait to work with them on this post, getting to talk all things Yorkshire and showing off some of their products at the same time. First up is the cute Lil Miss. Flippin Eck T-Shirt which I find just adorable. 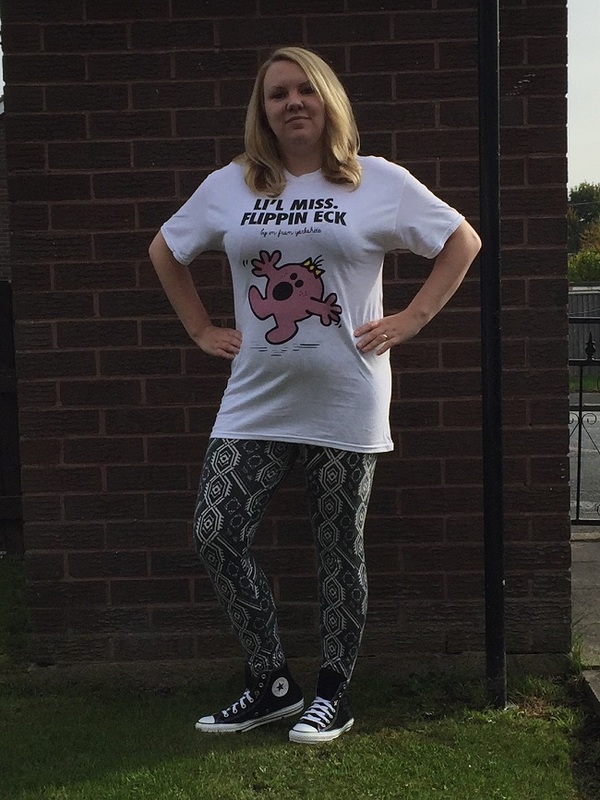 I love the Mr Men and Li'l Miss series so this was one of my favourites and more importantly, you don't realise just how often I use the phrase 'flipping eck' on a daily basis. Made from 100% soft cotton, produced in Yorkshire with an high quality A3 print across the chest. Not only does the print show off some Yorkshire words but it is fun and funky and a perfect head turner. Great in the wash and irons well too. 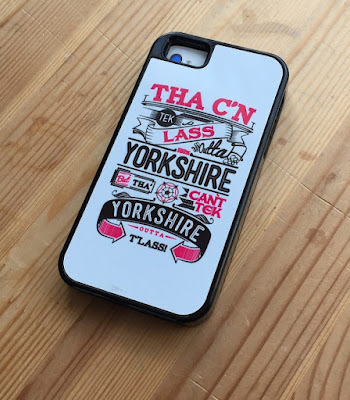 Secondly, I went for a Tek Lass Outta Yorkshire Phone Case which comes in various sizes to fit iPhones and iPads. I went for a iPhone 5s case so it would fit my phone. With the option of going for a lighter, stylish cover which is white, or a heavy duty protector cover which is black, I went for the protector as I knew that it would come in handy for the amount of times I have dropped the damn thing. 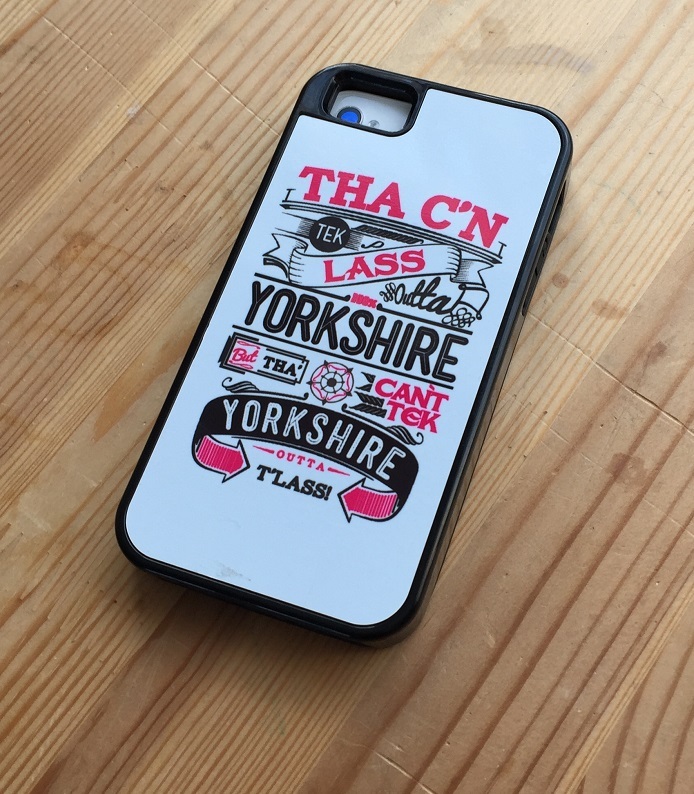 I love this case as it is thick and so protective, and whenever I get my phone out, I can show off the fact that I'm from Yorkshire with the slogan that is emblazoned on the back. It states 'Tha c'n tek lass outta Yorkshire but tha' can't tek Yorkshire outta t'lass'. Which I'm sure you all understand but it's shown off in my Yorkshire dialect, exactly how I would say it. 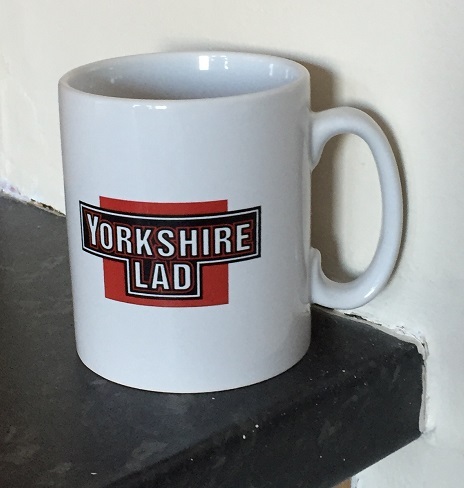 Lastly, I chose a gift for my hubby, a Yorkshire Lad Mug which has a similar logo to a certain famous type of tea bags, but with Yorkshire Lad as the tagline instead. This white ceramic high quality mug shows off my county with pride every time I make my husband a brew and he's used it ever since it arrived. Deciding on what is right for your child is hard work. No matter what your decision is, you'll have someone telling you it's wrong, leaving you feeling like a failure as a parent. Especially when it comes to deciding how you'll feed your baby. For me, I chose to bottle feed. Being really honest, it wasn't even a hard decision. I didn't feel comfortable with the thought of breastfeeding my child in public and knew that if I felt stressed then my baby would sense that and struggle to feed. People would say that's a selfish decision but let me explain. My health visitor pushed me in to trying when I'd given birth to Thomas. I didn't want to and I didn't need to, but she pushed and pushed until I just decided to do it. But I hated it. I hated that I had to be at home whenever I wanted to feed my baby as I wasn't comfortable with others being around me. I would hide upstairs if anyone came to the house and my baby needed feeding. It was horrendous. I felt pressurised and then I got stressed, upset and depressed. Thomas stopped latching properly and wouldn't take my breast milk, losing weight at his next check up. I felt like a failure, that my son wouldn't take the one thing that my body made for him. And then I realised, why was I doing this to make my health visitor happy? My baby and myself were all that mattered. As long as he had milk in his tummy (be it formula or breast milk) then he was happy and I knew that I'd feel a lot happier if I wasn't constantly stressed about feeding. So I changed to formula and it went down a treat. Thomas loved his new milk and even drank better. I think this was down to the fact that I was now feeding him comfortably and stress free so he was happier. It was like a weight had lifted. But the health visitor then came round and told me that I was wrong to stop, that I was not giving him the best in life and that it was basically, all my fault if anything ever was to happen to him. 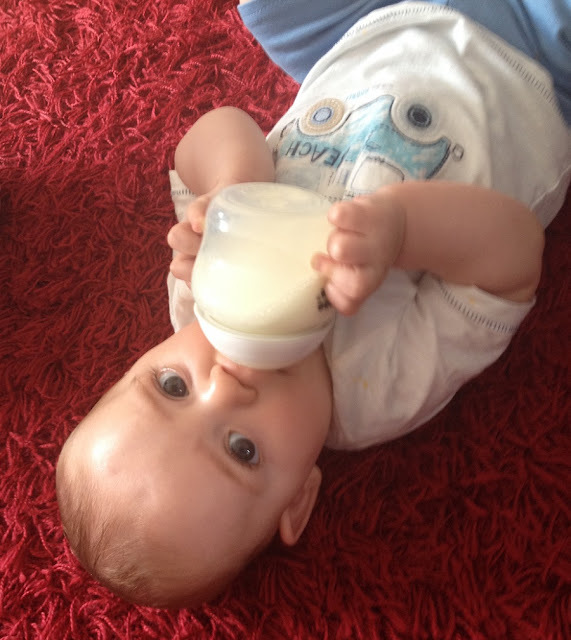 I felt scared, had I just gave my son a bad start in life by choosing formula over breast milk? No I wasn't. Thomas was fine. He flourished. Came on greatly. Got all his milestones, in fact was really forward with some things like walking at 10 month old. Then I realised, the health visitor was wrong. It didn't matter how I fed him, all that mattered was that he was fed. 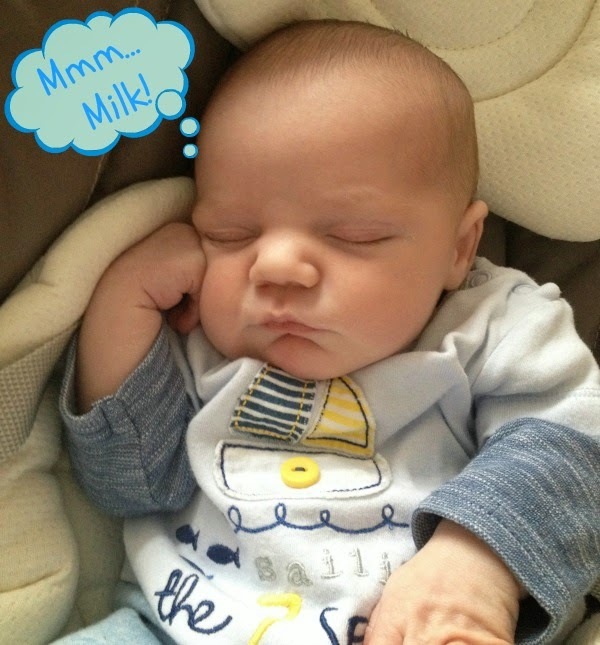 Be it formula or breast milk, as long as he had a full tummy, I was doing right by my child. So when Charlie, and then Joseph, came round, I decided to stay formula feeding as that was what I was comfortable with. And you know what, it was fine! When searching for a changing bag, you have to envisage everything that will go inside it as one point or another and make your decision based on that. When you have a baby and all their diva demands you need everything bar he kitchen sink in there... well I have 3 kids so sometimes the kitchen sink would be nice too! Over the years I have had many changing bags. 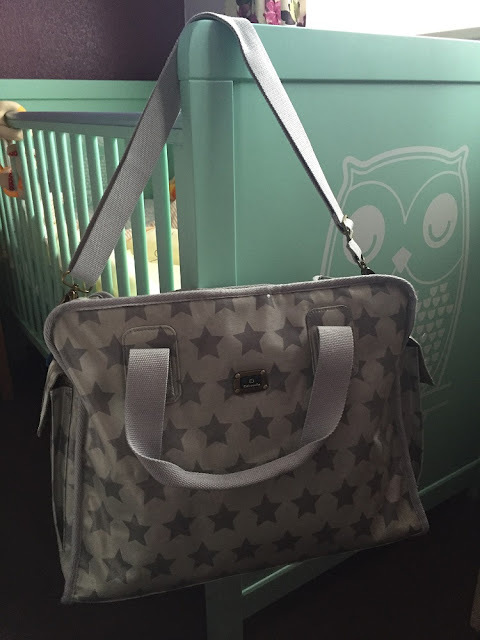 Stylish, designer, and really expensive, but would you believe that I've actually managed to find a bag that holds everything that I could have ever imagined I would need whilst out with my brood, and it costs just £40. 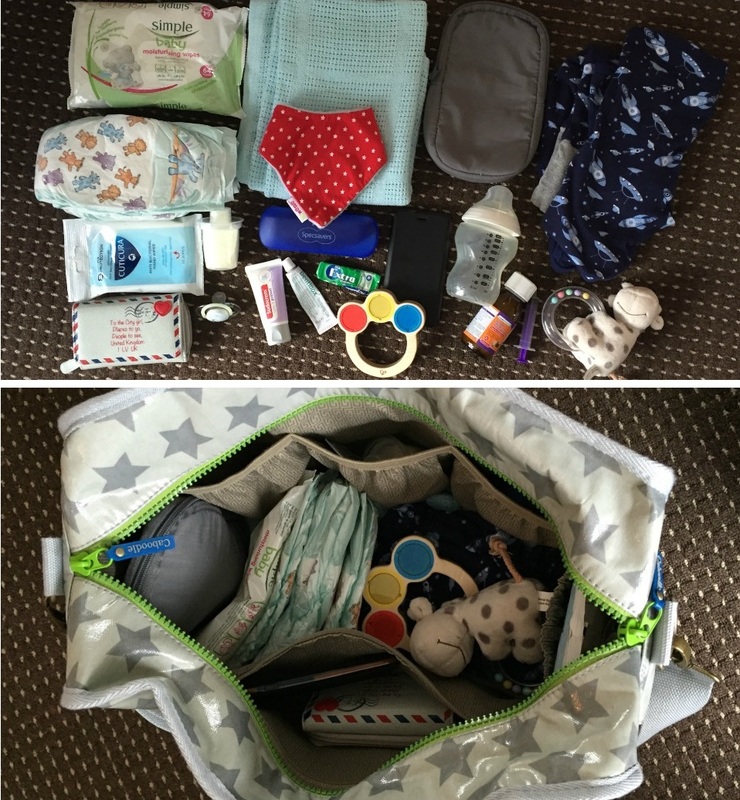 Yes, I know, I didn't believe it could be possible either but after over 6 years of using changing bags, I came across Caboodle Bags and their gorgeous Fun & Funky Baby Changing Bag which has changed the way I pack for our days out. 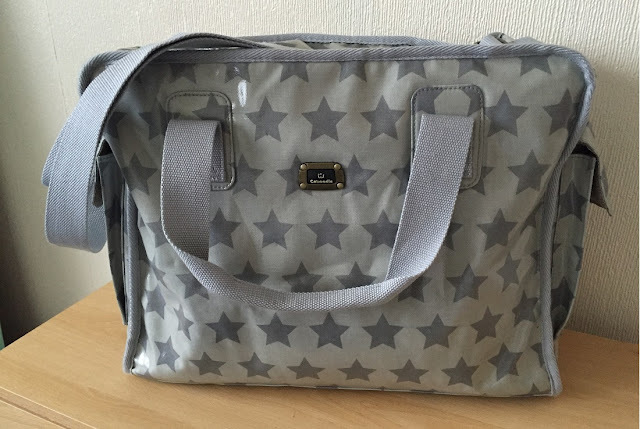 The Fun & Funky baby changing bag is a quirky and unique designer bag without the price tag and is larger than most changing bags, 42cm wide x 33.5cm high x 16.5cm deep, without the added extra weight that you'd expect. This extra space isn't just wasted on a deep inner though where everything gets lost into the abyss that is the bottom of a bag, it's been cleverly thought out and has so many pockets to store things that you'll be left wondering whether the designer has some sort of pocket fetish. Lets first of all start with the outside because, as all us mums know, the look and style of the bag is up there with practicality when it comes to finding a bag. The bag is made from oil cloth which means that not only is it waterproof which is such an important feature for a changing bag which will more than likely be hung over the pram handles, but it is also wipeable. This is a genius idea. Do you realise how many times I have had a material changing bag that has been stained within the first week. Let's just say that all changing bags should be wipeable, no one wants a poo-stained bag! As you can see, I went for the Grey Stars design. This was down to the fact that I thought it would look beautiful at the side of Joseph's Cosatto Ooba pram and I was not wrong. 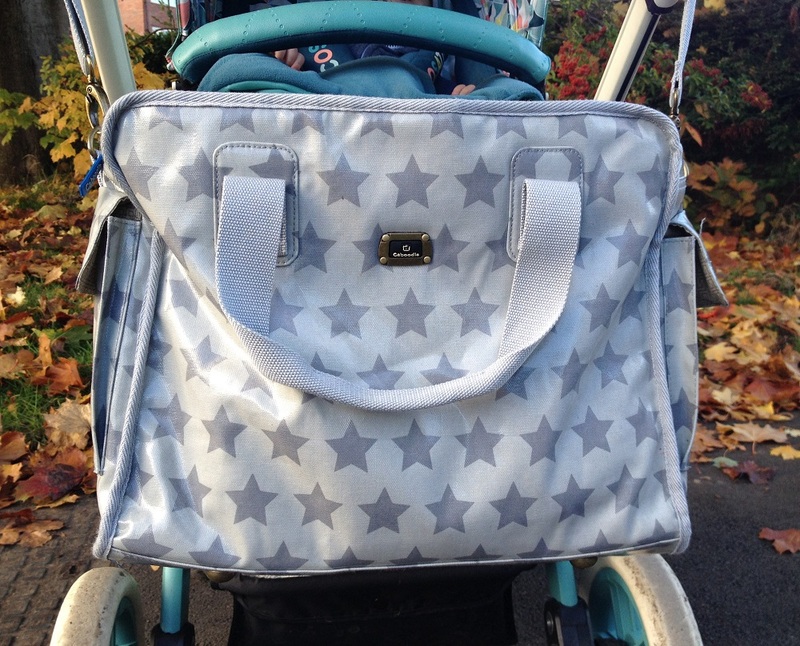 Because it is grey, it will more than likely suit any pram and the design is so subtle that it's not garish and is instead, a thing of beauty. Finished off with a bright green zipper at the top, just to give a funky wink. Then the pockets start. 2 outer pockets, one at each end of the bag which have magnetic clasp fastenings. As a mum of 3, let's just say that I know what I'm talking about when I say that this is a must for changing bags. It means that there is always some to hand for when your toddler is having a melt down. Be it a drink, a toy or even a sneaky chocolate bar to bribe them to calm down, whatever works, but these pockets are essentials for me! Inside we go where you'll find a smart geometric patterned fabric which is great for hiding any little marks or spillages that have happened. The five, yes 5, internal pockets give a multitude of ways to hold all the small baby items you will need without taking up much needed space in the bag itself. Just the basics of what goes in my bag! 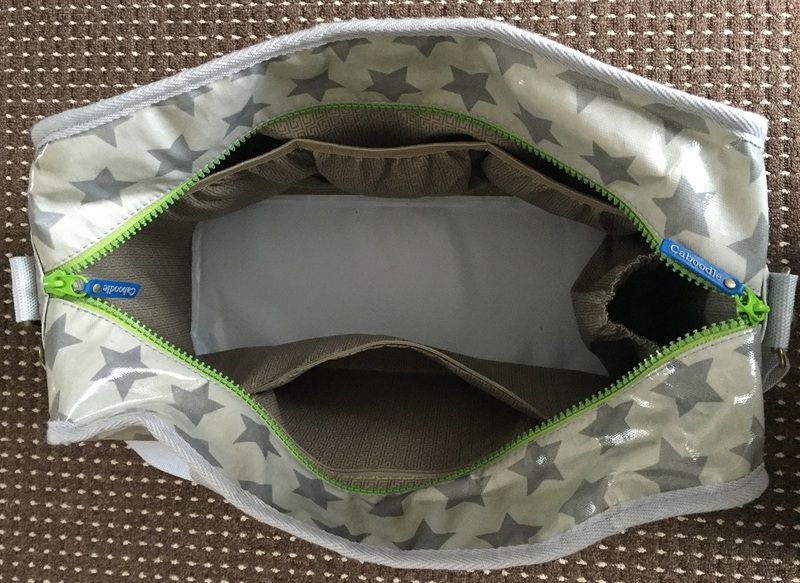 Not only is the Caboodle Bag a wonder in it's own right, but it also comes with extras to give it that 5 star rating when it comes to changing bags. It has a wipe clean changing mat, a grubby stuff bag for when a poonami strikes and an insulated bottle bag which is big enough to keep both Joseph's food and bottle warm. I love it. I love the size, the design, the fact that it's wipe clean, it has so many pockets that it holds everything I need and I also love it as the Yorkshire-person inside me is beaming as Caboodle has announced that they are now stocked in store at Paul Stride which is a famous store in the heart of York. High five Yorkshire Folk! Anyway, now it's your turn to get to use the marvellous Caboodle bag as they are giving one of my lovely blog readers the chance to win your very own. 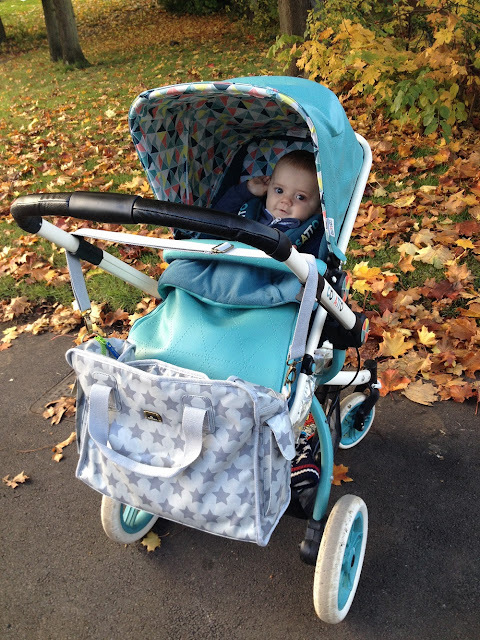 For your chance to win a Caboodle Bag, just enter via the Rafflecopter form below. Please remember to check our full T&C's here. This giveaway is open to the UK only and any entries left that do not follow the required entries will be disqualified. After any mandatory entries, others will open up to give you extra entries. You do not have to enter by all methods but these will give you extra entries into the competition if you do. Today is Pregnancy and Infant Loss Remembrance Day and yet, unless you have suffered the horrendous pain of losing a baby, you probably didn't even know this day existed. In this day and age where everything is shared online, from last weeks dinner menu to peoples deepest and darkest secrets, yet miscarriage is something that just isn't talked about. It's like we are ashamed, like talking about it is bad, but I don't get why. I remember after suffering this tragedy, people would look at me differently. Someone would ask how far I was and when I replied that I had miscarried, they would change the subject, not wanting to talk about this thing that happens to so many women, and their partners too. But us women are left with unanswered questions. Why did it happen, how did it happen, will it happen again. And no one tells us these answers as it's something that we don't talk about. We are left feeling alone, and scared, and have no one to turn to when actually, it's happened to more people than you think. Losing a child is one of the most hardest things that I will ever have had to go through. It's horrendous. Those moments of having your child inside you turning to nothing. It's draining, it's hard not only on your body but your mind too. Was it my fault? Did I do something wrong? No one was there to hold me together and say that everything was going to be okay. No one was there to explain that it wasn't my fault, that I had done nothing wrong and I was left just to get on with things. There, it's happened, now get over it and get on with your life. Then I felt guilty. I had spent all this time mourning a baby that I had never met when I should have been focusing on the 2 that I had. I was a bad mum, I didn't deserve my children... I was doing them a disservice by being selfish and thinking about myself. I think people don't realise just how hard a miscarriage hits. You don't just 'get over it', you can't just 'try again'. It was a baby. A child, A person growing inside of me. I felt him moving, growing, taking a hold on life. We had plans. Today is Baby Loss Awareness Day where we remember all the babies who have touched our lives - however briefly that was for. 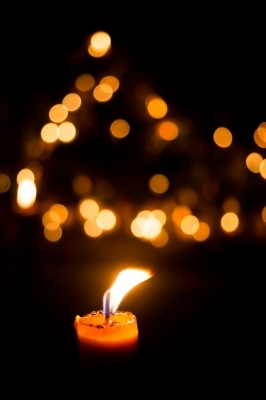 The global 'Wave of Light' will be at 7pm whereby we remember our lost babies by lighting a candle in their memory. As a family, we love baking. 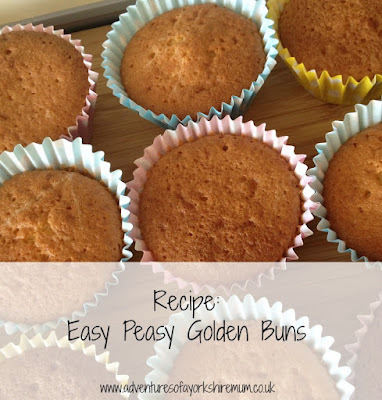 Having been brought up by a mum who is a baker, I am used to seeing cakes being baked and decorated and so picked up tips and recipes over the years. For me, I like to make things that are easier than what my mum makes. I'm not in to big lavish fruit cakes that need months to stand for a better taste, I like recipes that are simple and that I can teach the boys to do so that they too, grow up knowing how to cook and how to bake cakes and treats. Serve plain or make you own topping with icing sugar and water with sprinkles to decorate. 1. Pre-heat oven to 180 C and line a bun tin with 12 cases. 2. 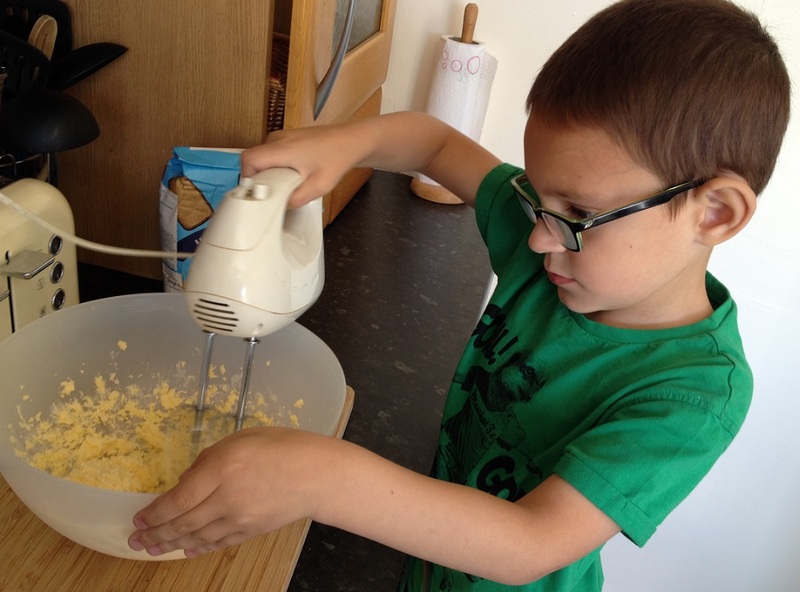 Put your sugar and butter into a mixing bowl and cream together until light a fluffy. 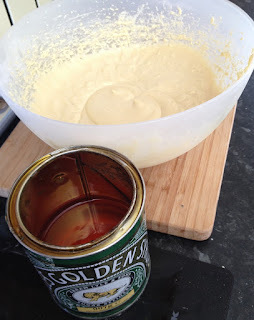 then add the golden syrup and fold in to the mixture. 15 minutes until firm and golden brown on top. 5. Take out and place on a cooling rack until cooled down and then devour. They're that simple! You could also mix 100g of icing sugar with drops of water to make the right consistency and add the top of the buns with some sprinkles to give them a topping, but this is optional, the buns are delicious on their own.